Setting a List Price for Your Home -- Price is the single most important factor for many buyers to consider first. Pricing really is all about supply and demand. It is also an art form that has data points and marketing issues and house appeal and money supply and local subjects and a few specialized matters all mixed in to help establish a listing price. Establishing a Property Listing Price --Establishing a property listing price is both an art and science. The science ranges from very simple to very complex set of variables. The art comes from experience, understanding the current real estate market, comprehension of the property function and aesthetics, financing and seeing the whole in real time. Marketing Plan to Sell Property -- The marketing tools to sell houses when the correct mix of all the ways to let buyers know the property is for sale. For Sale By Owner--For Sale By Owner (FSBO) has a major pre sale effort that must be undertaken. Understanding the selling real estate paper work is a must. Do the due diligence of real estate transaction before the commitment of selling a home by yourself. The Best Time to Sell My Home--First, every one situation is unique. The complicated nature of real estate makes the “when to sell” decision a mix of pros and cons that impact the individual situation. The article following is a basic real estate situation analyst of macro-economic and the general impact on housing prices. Closing Costs -- Closing costs refer to the expenses paid by the buyer and the seller as negotiated at the close of the sale of property. The payment of the closing costs is a negotiable subject between the buyer and seller. Divorce and Real Estate Issues--Divorce not only terminates the legal partnership between two spouses, but can also require that the property previously shared by the couple be divided. Innovative Commissions Structure-- After repaying the mortgage, the largest monies cost from a house sale is generally the real estate agency commission. 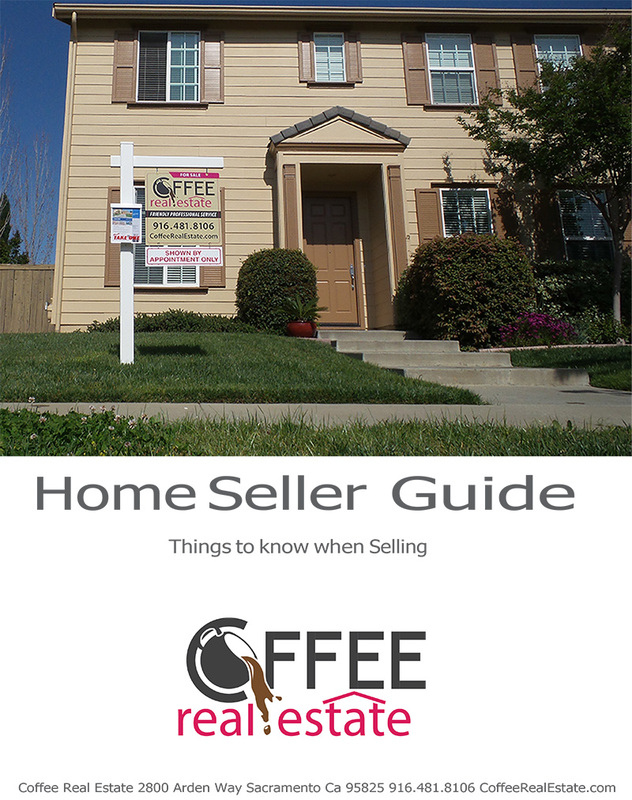 Coffee Real Estate empowers the home seller with options. Real Estate Commissions--Coffee Real Estate empowers the real estate seller with a wide range of commissions or price for service options. MLS - Multiple Listing Service -- The MLS is the most important tool for people looking to buy a home. That is why it is a powerful marketing tool for home sellers.